Update (12/6/2016) – After 2 years of working in software engineering, I decided to start a podcast called Breaking Into Startups where we interview top bootcamp founders and alumni who broke into software engineering. Check it out http://breakingintostartups.com! Before I dive into the similarities and differences between various bootcamps, I want to explain what a coding bootcamp is. In recent years, there has been a growing demand for web and mobile developers due to the growing number of smart phone users who are consuming an astonishing amount of content right from their devices. Because every year or so, there are significant updates to the operating systems, all the apps and websites need to be rebuilt from scratch (just think about the number of times you had to update your web browser or your mobile apps in the last year). In addition, if you take a multi-platform service like Netflix, which needs to have a separate team to upkeep their website, iPhone, iPad and an Android app, you begin to see the magnitude of the problem. Since there is a lot of demand for people with programming skills and an increasing lack of supply, this is where coding bootcamps come in. During 9-12 week programs, the students are fully immersed in the software development process, learning an array of relevant methodologies and tools to build modern applications. Compared to a traditional CS degree where the emphasis is on computer science fundamentals, the bootcamp students gain exposure to the latest, most impactful technologies that are currently in use. 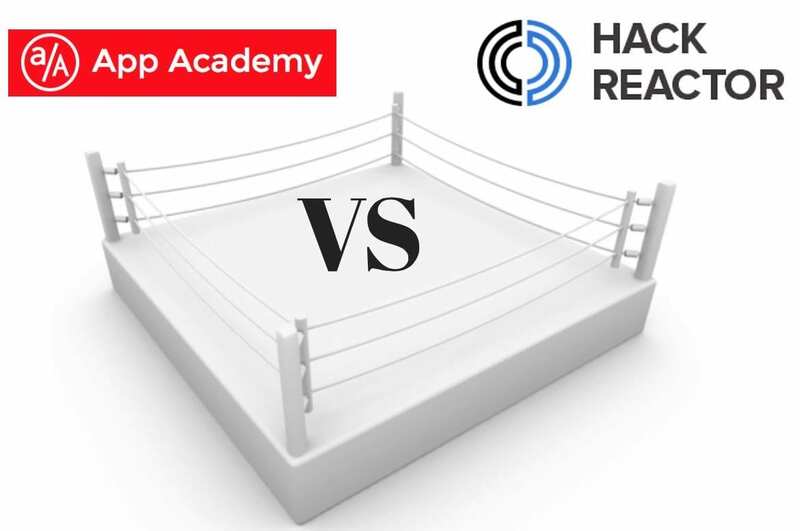 Established in 2012, App Academy is similar to Hack Reactor in that in a short period of time, it’s students pick up essential programming skills to become proficient software engineers. They have two campuses in San Francisco and New York and claim a 98% success rate at placing candidates at start-ups with average salary of $100,000. The one feature that differentiates App Academy from other bootcamps is its “No Job, No Pay” deal. In short, you don’t have to pay for the bootcamp upfront. You only pay a percentage of your first year salary (currently 18%), AFTER they help you find a job. The basic premise here is that App Academy takes a gamble on you and has a great incentive to make you the most marketable job candidate in 9 weeks. This sounds amazing, however, the application process is grueling. My brother had several rounds of phone screens with behavioral and technical components and a final Skype interview with the founder of App Academy. (For full disclosure, I’ve never applied to App Academy and am only speaking from comparing my brother’s experience applying to App Academy with my interview process with Hack Reactor. If you are interested to learn more about my brother’s application process check out his blog here.) That’s not to say that Hack Reactor isn’t challenging to get into but in my personal opinion, App Academy cares a LOT about the candidate’s background and the ability to pick up the required skillset in 9 short weeks. 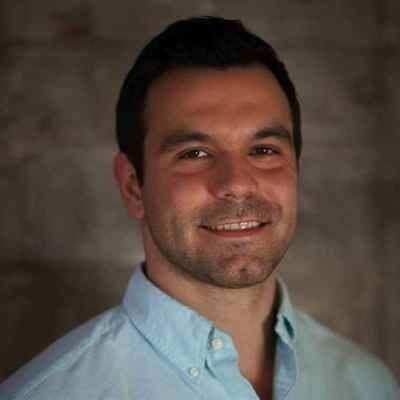 I think what set my brother apart from other candidates was that he was already doing project management and working as a SCRUM master in iOS development for AutoTrader.com, so his learning curve would have been less steep than someone coming form an unrelated field. I was skeptical at first so I began to do my own research to dig up reviews on Quora, Yelp, Reddit and students’ personal blogs. To my amazement, there were 69 five-star reviews out 71 total on Yelp and countless Quora posts praising Hack Reactor instructors and teaching methodology. This was impressive but I still had my doubts. After spending an hour going through LinkedIn profiles of Hack Reactor graduates, I was amazed to find that they were all working for the top Silicon Valley firms like SalesForce, Google, Twitter, Groupon, Asana, Yammer and AutoDesk, to name a few. After reading about the Hack Reactor curriculum and the different stages of the program, it became apparent how it’s able to produce such unparalleled results. First, most coding bootcamps last 5 days a week for 9 weeks, whereas, students at Hack Reactor are there for 12 weeks, 6 days a week, 11 hours a day. That’s more than 30% more instruction time! Secondly, the way the course is broken up is the first 6 weeks are lecture based and in the last 6 weeks, students get to implement what they learned by working with actual start-ups. This work experience not only helps students to build a portfolio of projects that they can discuss in their job interviews, but also gives them an opportunity to figure out what they want to do after graduation by getting exposure to the start-up environment. You can find Part II here documenting how we went through our coding bootcamps and navigated the job search. #21DayCkChallenge nearly a week in! This has been. Great program so far!